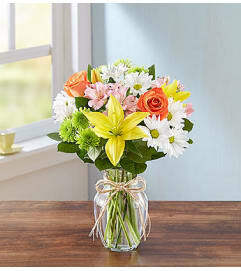 DESIGN COUNCIL EXCLUSIVE For anyone who is a true gem in your life, our bright, happy bouquet will make their eyes light up. 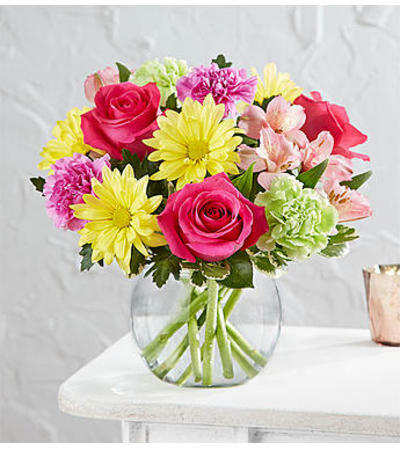 Pretty pink, yellow and magenta blooms are gathered inside a sleek bubble bowl vase to play up their beauty. 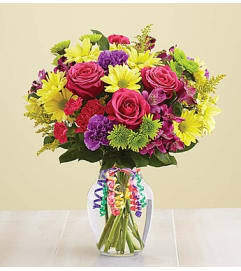 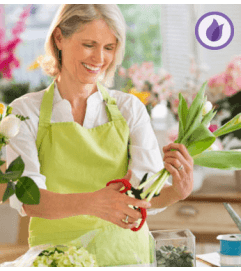 Designed by Ashlee Rae Roberson from Simply Roses in Ormond Beach, Florida, this vibrant gift is sure to make a big impression.